As a mortgage agent, the strength of your network and relationships dictate your success – both with regard to generating leads and with negotiating deals, especially the difficult ones. The Internet has spun on its head the way that we develop and maintain these relationships. Gone are the days of networking events and snail mail – here to stay (at least until something even more impressive comes along) are the days of Google, email and social media marketing. 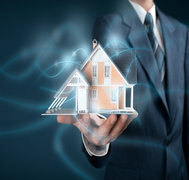 So how can a mortgage agent compete in this new digital world? Gaining a keen understanding of how to leverage digital media is a start. You don’t always have to start with a huge budget – just a little bit of time and know-how. Social media marketing is by far the path of least resistance because it doesn’t involve the same level of competition as organic SEO where big players are marketing (not just other brokers, but the banks and the rest of the world). Social media marketing gives you the ability to reach a wide variety of prospects and market to them easily. First – don’t try to be all things to all people. Pick a social platform and focus on it! You are busy and time is limited – if you try to build your presence everywhere you will have less success than if you focused in a single place. For example, if Twitter is your chosen platform, make sure that you are posting regularly, not just once or twice a month when the moment arises. Be sure to read up on best times to post, and how often. Second – connections are power. As you work day to day, connect on your social media to EVERY single person you meet. Not only does this give them gentle reminders as you post updates but it also enables them to influence their network to know more about you. Third – Sharing is caring. As you connect to other people, share their content!! Later they will be more likely to share yours. This will also help get your name out there. Fourth – focus on quality. Online marketing is not just about soliciting your services. Share valuable information that interests people and also ties in to what you do. Your content needs to speak to prospects about topics of interest and provide value, otherwise it will just get lost in the shuffle. Fifth – align yourself with a brokerage/principal broker that is forward thinking and understands digital mortgage agent marketing so that you have the support you need to be effective.